This Messier Marathon is open to any and all observers with no fees required. You need not be an ASEM member to participate. To complete the project you should be a somewhat experienced observer and must bring and be responsible for your own equipment. No loaner equipment will be present and other participants will be busy using their own equipment so you will be unable to share. You should be expierenced enough that you know how to star hop from object to object. Registration in advance is not required. We do have a registration form that allows us to collect information for planning and last minute news. Please complete this form if you are interested in getting last minute information on the status of the Marathon or would like to provide us with information about yourself. Completing the form will give us an idea of how many people we will be dealing with. 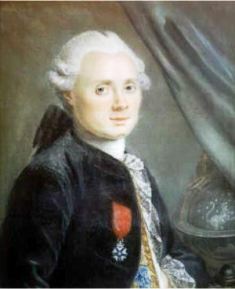 Charles Messier was a comet hunter in the late 18th and very early 19th centuries. He developed a list of objects to avoid while hunting comets. The list must have worked, because during his lifetime he discovered over twenty. 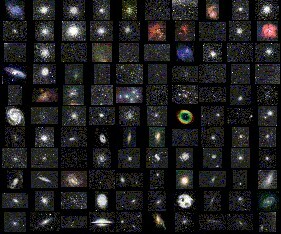 Today his list is called the Messier List and contains most of the brighter deep sky objects that interest amateur astronomers. The 110 Messier Objects dominate viewing at most public outreach sessions and can be recognized with names starting with the letter "M" as in M31, M42, or M45. This Marathon is scheduled for the night of Saturday, March 21th from 7:00 p.m. until Sunday, March 22th at 7:00 a.m. The 7:00 p.m. starting time has been selected to give the observer time socialize a bit and set up before dark. Arriving after dark when others have started observing is discourages since it will spoil dark adaptation. Arriving late will not make you popular with the crowd. This particular date has been selected because the new moon will be on March 20th and won't interfere with viewing. A weather related backup day is scheduled on Friday, March 20 (yes, the night before) with attention to the Clear Sky Clock and local weather forecasts. In the event of a poor weather forecast check the "Latest News" part of ASEM's webpage for last minute changes. Begin civil twilight       6:38 a.m.
End civil twilight         7:42 p.m. Phase of the Moon on 21 March: waxing crescent with 3% of the Moon's visible disk illuminated. New Moon on 20 March 2015 at 4:36 a.m. Central Daylight Time. The Marathon will take place at two locations based on the observer's choice: Broemmelsiek Park in St. Charles County AND Danville Conservation Area in Montgomery County. The main effort will be at Broemmelsiek Park. Broemmelsiek is about 4 miles from the Winghaven/DD exit on I64. Danville is about 6 miles from the Highway 19/I70 Herman exit (about 1 hour west of St. Louis). Observers in SLAS and ASEM have been using these public locations for years. Maps to both locations are presented below. Both sites do have cell phone access but neither site has public Internet access. This St. Louis Messier Marathon is a personal project so you may choose to use any method you wish. Feel free to use any method from a GoTo telescope to find all objects all the way to doing the Marathon with a manual telescope while finding all objects entirely from memory. No matter which method you use, you will need to do some prior planning including knowing the best order to view. Observers may use a variety of means to locate objects including memorizing positions, using binoculars, books, computers, the internet or star charts for star hopping. The use of setting circles, either analog or digital is also permissible. Once again, GoTo telescopes can also be used. Plain and simple...for FUN and the expierence. Observing for a few hours at a time in good conditions is easy. Observing for an entire night in less than perfect conditions is a challenge for your equipment, your methods, and yourself. The marathon is for having fun! Check the forecast low for the evening in advance and dress accordingly with many layers on both your top and bottom. Cold feet can make you miserable really quickly. If you get cold during the Marathon walk around for a few minutes to generate some heat. Although it is possible to do the Marathon with a 4-inch or smaller telescope, or binoculars, it is not suggested; unless you are an experienced observer. Broemmelsiek will probably will need bigger scopes to get all objects.